Get a Monterey County Traffic Ticket? You Can Beat It! Did You Get a Ticket in Monterey County, California? You can fight Monterey traffic tickets by getting them dismissed much easier than you may think. In Monterey, California, drivers are allowed to contest a traffic ticket using a Trial by Written Declaration. This is best way to fight a traffic ticket without going to an Monterey courthouse or hiring an expensive Monterey traffic ticket lawyer. We have found this to be the best way to contest a California traffic ticket, period. This option is available to every driver who receives a traffic ticket in Monterey, California. In fact, if you turn over your traffic ticket you will see that a Trial by Written Declaration is listed right on the back of your ticket as one way to fight it. This process has been around since 1978 to avoid having to pay traffic ticket fines. TicketBust has been helping California drivers prepare Trial by Written Declaration’s for over 15 years. In fact, tens of thousands of vehicle tickets in California have been contested using our system. We are the original traffic ticket fighter and the TicketBust system has been developed specifically to prepare all your documents properly based on how you answer a few questions. This way you can fight your ticket, knowing you have maximized your chances of having the court dismiss your Monterey County traffic ticket. When you contest a ticket using a Trial by Written Declaration not only don’t you need to go to court, but you don’t even need to take traffic school if the ticket is dismissed. If the ticket is dismissed, no point will appear on your driving record and the bail will be refunded to you in full. If the ticket is not dismissed and you are eligible for traffic school, then you should still be eligible after a Trial by Written Declaration. TicketBust service will prepare your full defense package for you, which includes your Trial by Written Declaration and all the defense documents required by Monterey traffic court. Fill out the yellow form to fight your Monterey traffic ticket now! Did you know that you aren’t allowed to pass the white limit line when you are stopped at an intersection? From our experience, this can be a common ticket issued in the county of Monterey, so be on the lookout and stay behind that solid white line. If you find yourself having received a traffic ticket in Monterey, give us a call or fill out our form to see how we can help! Originally the home of the Ohlone, Salinan, and Esselen tribes, Monterey County was explored by Sebastian Vizcaino in 1602. Vizcaino led a fleet of ships into the harbor, which they named after the viceroy of Mexico and Count of Monte Rey. The county was much later named after the harbor and was the capital of California while it was under Spanish and Mexican rule. By 1850, the population of non-native people was 1,872 people within Monterey County. Yet with the gold rush, as many as 1,000 quickly left in search of gold in other portions of California. 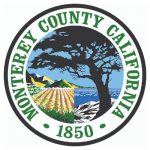 Monterey became a county in conjunction with California gaining statehood. Over the next 20 years, ownership of land drastically changed all over the state and many people settled into the area. Today roughly 438,000 people reside within Monterey County, mostly near the northern coast and Salinas Valley where some of the best site-seeing and views can be found. The county reaches from the southern half of Monterey Bay to San Luis Obispo county, spanning a total area of 3,771 square miles. Due to the breathtaking location on the coastline, Monterey County is the location of several thousand visitors every year. Many will road trip to Big Sur, which many praise as the “longest and most scenic stretch of undeveloped coastline in the contiguous U.S.,” sip handcrafted wines from grapes grown in the area, or play visit the white sands of Carmel Beach.